Knowsley Chamber of Commerce has an extremely high proportion of local firms in its membership. The Chamber already offers its members extensive services on advantageous terms. Through this mediation service members have access to an alternative way of resolving commercial disputes and workplace disputes. 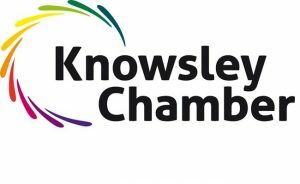 Further information about the service is shown below, however if you wish to use the Knowsley Chamber Mediation Service then please contact the Chamber in the first instance. Mediatelegal will provide a full mediation service for commercial disputes worth up to £50,000.00, and for workplace disputes. Mediatelegal will also provide Chamber members with access to a 10% discount on all other mediation fees. Mediatelegal have 9 expert mediators on its panel. It is the only mediation provider in the region to be an approved mediation provider with both the Civil Mediation Council, and also with The Ministry of Justice. The main lead for Knowsley Chamber’s Mediation Service is Joseph Mulrooney Joseph will respond to all referrals, manage all enquiries, and be the initial point of contact for both clients and Chamber employees. When an enquiry is received Joseph will contact the Chamber member to hold an initial discussion of the dispute and to assess its suitability for mediation. If Mediate Legal does not believe a dispute is suitable for mediation, we will advise of this and no fee will be due. party subsequently refusing to honour the mediated settlement. Mediate Legal’s service levels exceed the guidelines of the European Code of Conduct for Mediators, and also of the Civil Mediation Council. All of our mediators are registered with the Civil Mediation Council.